It’s a testament to Vile’s songwriting ability that, despite clocking in at over an hour, your attention never once wavers. Its ambrosial melodies and austere instrumentation edify his canon of work, which has long been rewarding for its risky sensibilities and perseverance. Wakin on a Pretty Daze, Vile's fifth album, is the product of both thought and effort. That it feels like it took neither thought nor effort is a product of talent. For all the intense work that no doubt went into capturing Wakin On A Pretty Daze‘s newly widescreen sonics, the moments that manage to make it special still feel so entirely off the cuff. On Daze, Vile’s amorphous, ambient drones continue to solidify into sharp shapes with defined edges. While he was always a contemplative songwriter, Vile’s lyrics are now more ponderous and worldly rather than navel-gazing. Wakin on a Pretty Daze breezes past like a Klonopin dream, and radiates an easy confidence that is as rewarding to return to as a melody. His music is a vessel of sorts, a book penned from Vile’s subconscious and written for our experiences, so that we can live his music the way he does. Despite its length and moments of lyrical self-loathing, ‘Wakin…’ neither bores nor depresses. Vile lets us gaze into his soul so we can wallow in his easy-drifting, unquantifiably miffed genius. Mostly, ‘Wakin On A Pretty Daze’ shows Kurt Vile’s determination to make something of that slice of genius he got for free. Wakin’ On A Pretty Daze strikes with a gust of pent up emotions, a trailblazing record that openly affirms a personal accountability for self without slipping into heavy-handedness. Wakin' on a Pretty Daze is one of those rare examples of an artist’s uninhibited self-indulgence resulting in an LP which plays firmly to their strengths. Easily his most focused and accessible work, Pretty Daze is the strongest so far in a chain of releases that seem to suggest there are even greater heights to be reached. With Wakin On A Pretty Daze, Vile has added another seemingly effortless 70 minutes’ worth of straightforward, easygoing golden tones to his consistent discography. It’s easy-going and charming, without ever having the focus or intensity to be insightful, definitely not a life-changing album, but potentially a life-affirming one. Vile sounds refreshed on some of these songs, made new again, and while that’s invigorating to see in a career that’s harvested so much from alleged indifference, a brighter songwriting style gives Wakin’ on a Pretty Daze a surprisingly conflicted sound. For a record that is grounded on folk and blues, Waking on a Pretty Daze is considerably psychedelic. The two most impressive songs in this collection total over 20 minutes of music. Kurt said that he wanted to spare the listener the action of rewinding a great song after it ended. It's a little crazy, but perfectly executed. 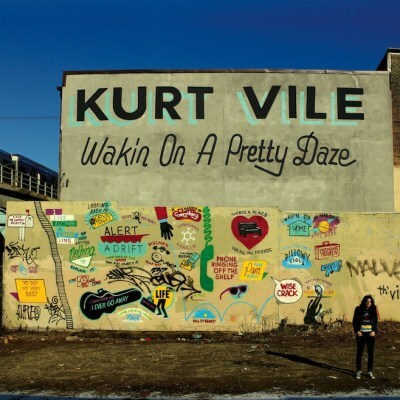 "Wakin on a Pretty Day", the opening (and kind of title) track, is one of the most engaging songs Kurt Vile has ever released. It's the kind of piece that listeners can sink into and get lost in. The rest of the album, "Goldtone" especially, carries on this quality as well. 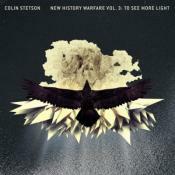 This is an immersive and intensely heartfelt album, as good, if not better, than the one before it. What else is there to say? Waking on a pretty day is simply a masterpiece. Purchasing Wakin on a Pretty Daze from Amazon helps support Album of the Year. Or consider a donation?